Overall good experience, had some difficulty when paying rent with checks at time. Townhouses are nice and spacious. Would recommend definitely checking them out. Hi Kelsey! Thank you so much for taking the time to leave us a review! We're so glad to hear you've enjoyed your Townhome! Please feel free to reach out to us with additional feedback on our payment system at 540.639.3298 or email copperbeechradford@assetliving.com. Copper Beech in Redford was such a great choice for me. The community is nice and the staff is very friendly. I would definitely recommend Copper Beech for anyone living in the Radford area. Hi Adam! We love having you here!! Thank you so much for choosing us as your home. For feedback of any kind you can contact the management office at 540.639.3298 or email us at copperbeechradford@assetliving.com Our management office is open M-F 9-6, Sat 12-4. Over all everything has been great. Respectable people living in good quality apartments. Solid location close enough to walk to a few restaurants and whatnot. Park trails within walking distance so big benefits for pets and kids. Staff is always super friendly, and amazingly helpful. The few maintenance requests I've had have gotten done quickly and efficiently. Property is maintained very well. Hi Alexander! We are so proud of Copper Beech at Radford and thrilled that you love living here! Thank you for the GREAT review! If you need anything, please feel free to contact us! Our management office is open M-F 9-6, SAT 12-4. You can contact us at 540.639.3298 or email copperbeechradford@assetliving.com We’re here for you! My stay at the Copper Beach in Radford was my first experience being on my own. The leasing office was comprised of nice caring people and the neighborhood was lively with amazing students. Cooper Beach is finally a place I can call a home away from home. Hi Alexander! Thank you so much for your kind review! We're so glad you're enjoying your time with us at Copper Beech! If we can ever be of assistance, please reach out to us in the leasing office at 540.639.3298 or email copperbeechradford@assetliving.com. Signing a lease has been the easiest process. Any time i had any questions they were happy to help, either on the phone or in person. I wouldn’t live anywhere else! Hi Payge! Thank you for taking time to leave a review! We're looking forward to having you as a resident for the upcoming year. If you need anything please feel free to reach out to us in the office at 540.639.3298 or email copperbeechradford@assetliving.com. I’ve had a great experience with Copper Beech Radford. I have lived here for the past 4 years because there isn’t a better deal anywhere else in Radford! The maintenance and office staff are always kind and super helpful. Hi Mackenzie! We are so happy that you're pleased with our community. Our priority is to provide excellent customer service, so thank you for taking the time to share your experience with our future residents. If you need anything, please don't hesitate to contact our management office at 540.639.3298 or email us at copperbeechradford@assetliving.com. I love it here! The community is great, there is a pool. Parking can be hard to find sometimes, but not impossible. They’re always having cute events in the office, it’s great! Hi Hannah, Thank you for taking the time to leave a reivew! We appreciate the feedback you've provided about parking and would be glad to discuss any further information your able to provide on parking concerns. Feel free to reach out to the leasing office at 540.639.3298 or email us at copperbeechradford@assetliving.com. The town houses are spacious and such a great deal. You have so many amenities and they are really good about coming in a timely manner if you ever have an issue! 10/10 would recommend! We are so happy that you're pleased with our community. Our priority is to provide excellent customer service, so thank you for taking the time to share your experience with our future residents. If you need anything, please don't hesitate to contact our management office at 540.639.3298 or email us at copperbeechradford@assetliving.com. 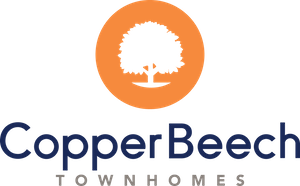 Living here at Copper Beech Townhomes has been AMAZING! The staff is always super helpful and accommodating. They have events all the time! I truly have loved living here! Hi Anna! What’s better than a satisfied resident? A satisfied resident who writes a review! Seriously, this review made our day! Thank you so much for sharing your positive feelings about your home. If you need us, please reach out! Our office is open M-F 9-6. You can reach us at 540.639.3298 or copperbeechradford@assetliving.com. Love copper beech! Great location! Great prices! These apartments are located about a 10-15 minute walk to campus. This is perfect for all of the students that live here. Hi Michael,Thank you for choosing us as your home and for taking the time to share your opinion with our future residents. You may contact our management office directly at 540.639.3298 M-F 9-6, or email us at copperbeechradford@assetliving.com. I have some pretty nice neighbors. Felt as I was treated unfairly by some of the staff. Didn't get to see my apartment till tje move in day and it was less than satisfactory. Great community always has residents involved with there office occasions. If you want peace this is where to stay at. Friendly office workers. Hi Chryshanda, Thank you so much for your kind words. Resident satisfaction is very important to us so your review made our day!!! Please let us know if there is anything we can do to help you continue to enjoy your home. Feel free to reach out to us at 540.639.3298 or at copperbeechradford@assetliving.com. Been living here for the past 4 years! Great and cheap place to live! Maintenance is great and the neighborhood is quiet! Near a lot of things including shops and school! I have really enjoyed living here. Our two bed room apartment is very cute and has the perfect amount of space. I love the fact that it's pet friendly too! I didn’t really enjoy my time here at all. The place is very dirty and no room for parking for residents or barely enough spots for visitors. I have enjoyed my time in Copper Beech and for the price, it is all I need. The location is convenient with the laundry room close by as well as the bus stop. Hi Kathrina! Thank you so much for taking time to leave us an amazing review! Your feedback is so valuable to us as we are always searching for ways to improve! Please reach out to us in the office at 540.639.3298 if we can be of assistance! Buses runs regularly and on time. Townhouses are very spacious and staff if responsive. The neighborhood is not noisy, especially on weekends. The only negative side is there aren't enough visitors parking for your guests. Hi Hediye, Thank you so much for your positive review! We value the time you took to leave us feedback! We have added six additional visitor parking spaces located in front of the leasing office and are looking at other ways to increase visitor parking. Please feel free to provide us additional feedback or suggestions by emailing us at copperbeechradford@achliving.com or at 540.639.3298. Sincerely, Copper Beech Management. Apartment is alittle tight and old but seems fairly decent about the neighbors and the repair speeds. Very friendly office workers and very knowledgeable. The common area of the apartment building is never cleaned. I also feel like it's a hassle to have someone sublease from you and there is no way to break the lease, which I dont like. The apartments themselves are okay. Some appliances are outdated, but it's an okay place to live in. Copper Beech is an affordable and friendly place to live. It’s pet friendly and close to campus. Copper Beech focuses on residents and their needs. The maintenance was very responsive with helping me fix problems I had in my apartment. The leasing office staff are all very nice and very helpful. Hi Leslie, Few things make us happier than satisfied residents! We are so pleased that you enjoy calling Copper Beech at Radford your home! Please let us know if there is anything you need to continue to love your home! If we can ever be of assistance, please reach out to the leasing office at 540.639.3298. Good location for Radford University students, relatively quiet and always felt safe. No major issues with neighbors and staff is friendly. Never had trouble with parking. Overall I like living here. I love my room size. Having a porch has been nice since I like to sit outside and read with my dog and I can just have him off a leash on the porch.